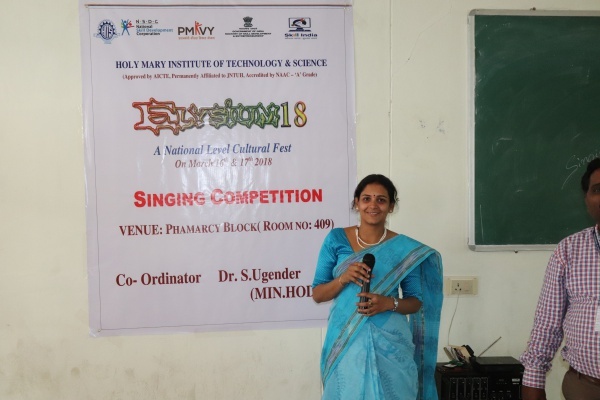 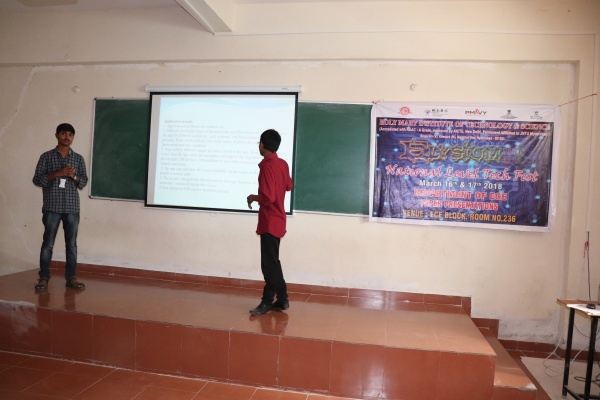 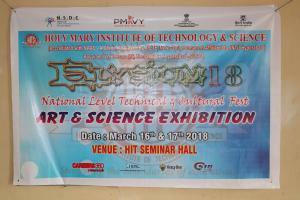 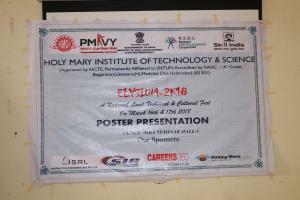 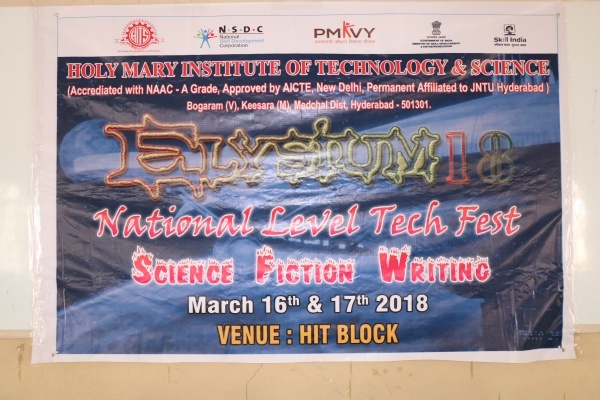 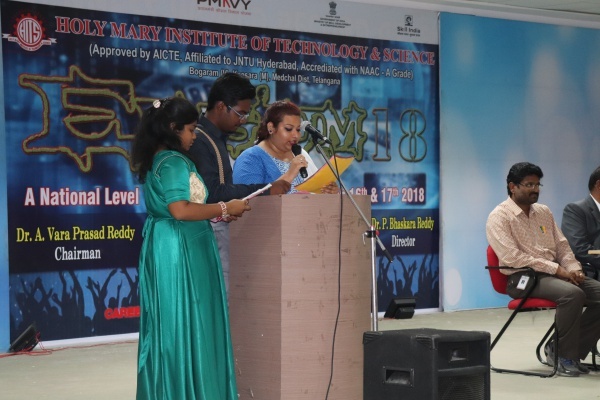 The Technical Fest (Elysium 18) in Holy Mary Institute of Technology and Science has been a delightful, held for two days i.e. 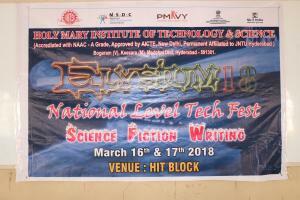 on March 16th and 17th, 2018. 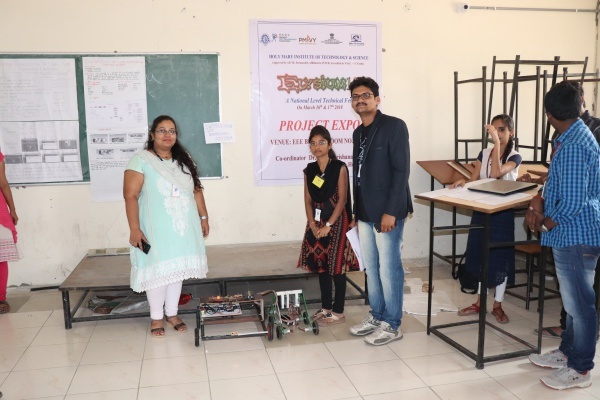 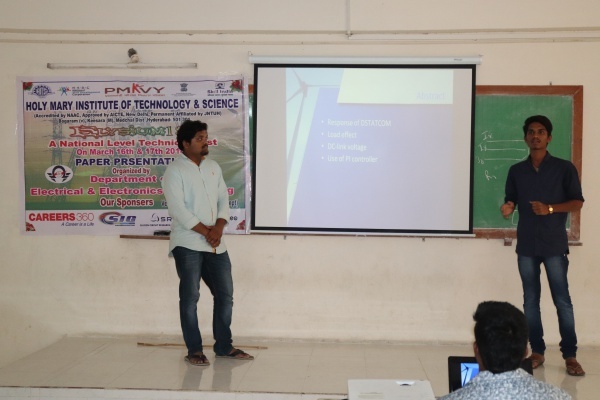 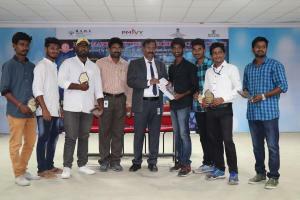 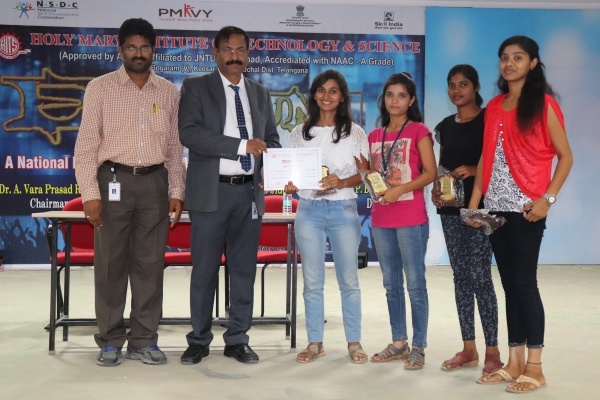 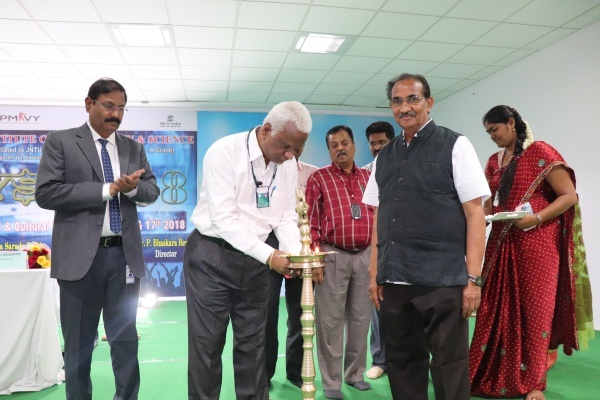 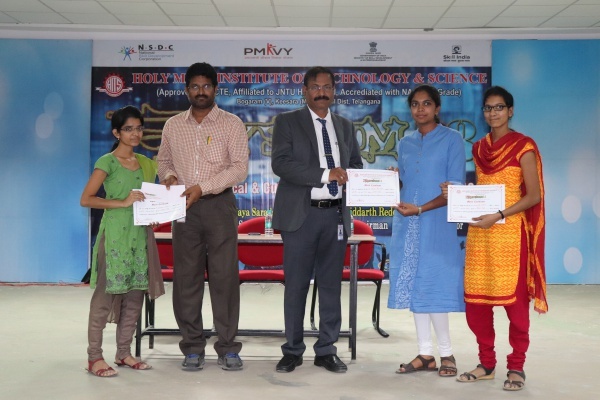 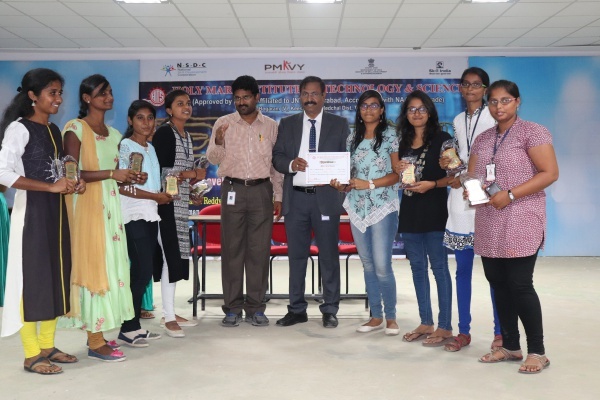 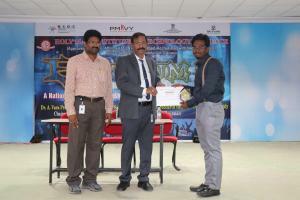 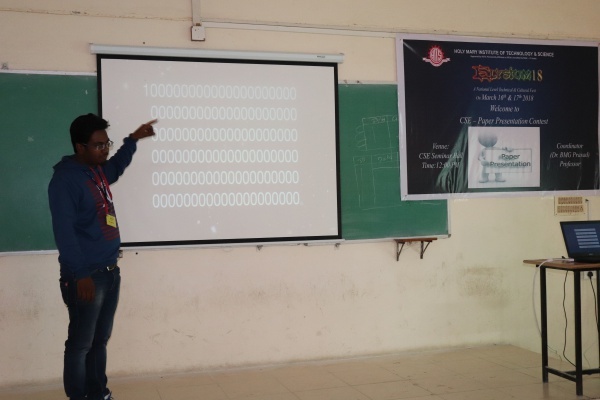 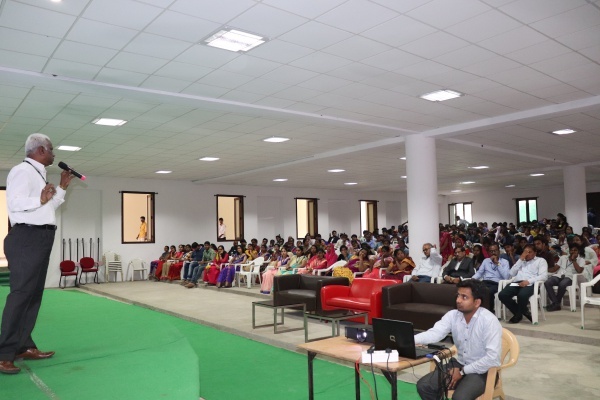 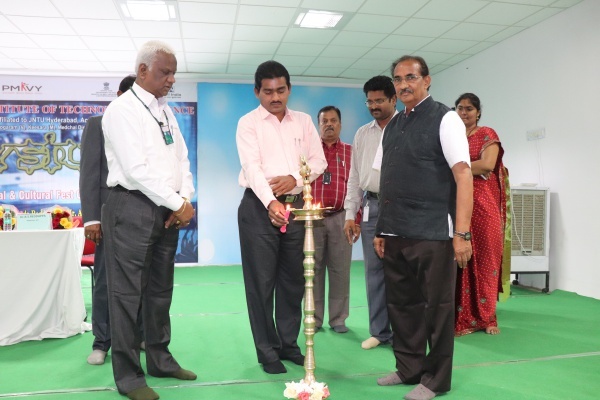 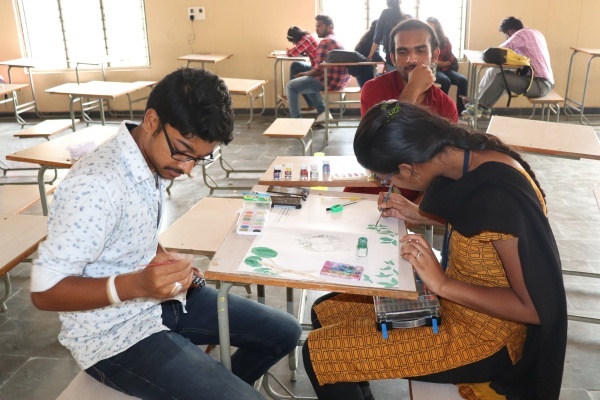 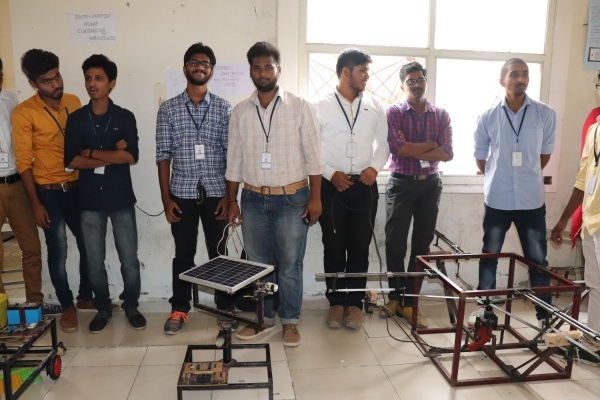 Engineering students from different engineering colleges not only from Twin cities but also from different parts of Telangana region also participated in this Technical Fest. 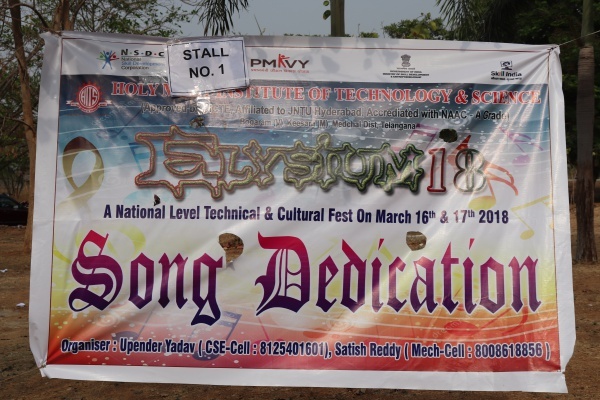 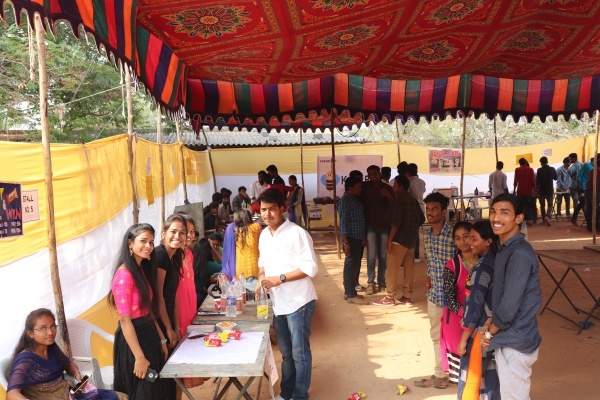 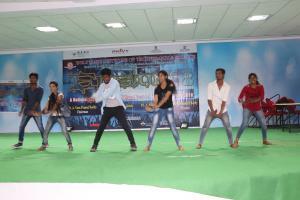 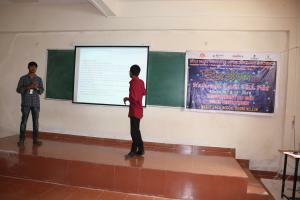 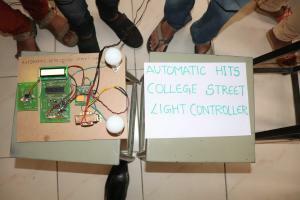 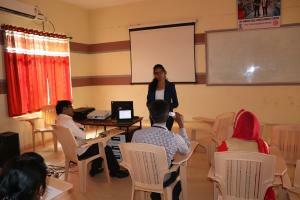 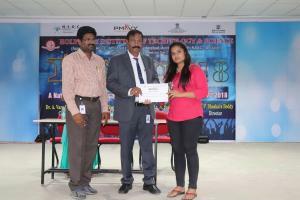 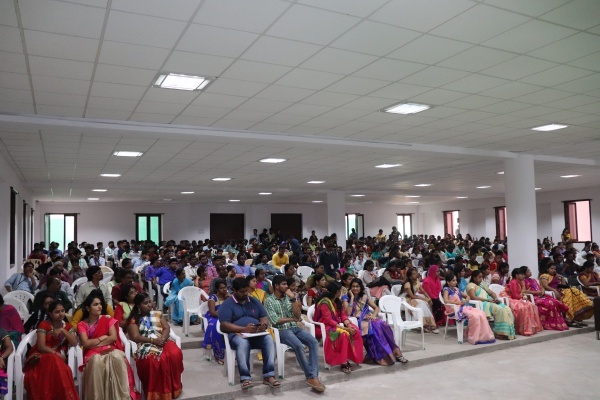 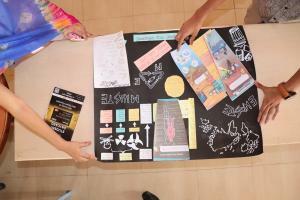 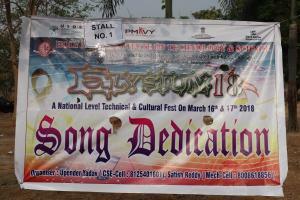 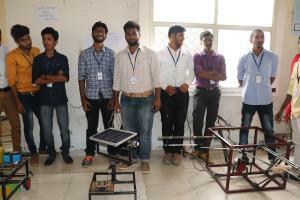 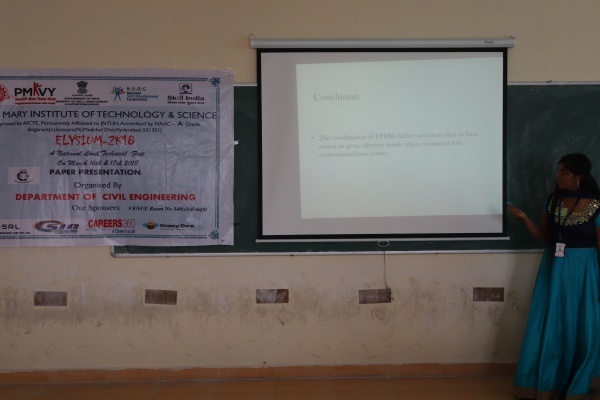 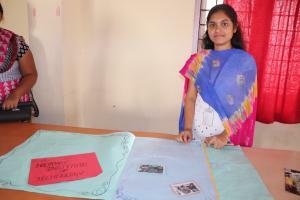 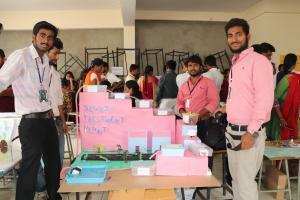 Students have participated in various events of Technical Fest (i.e. 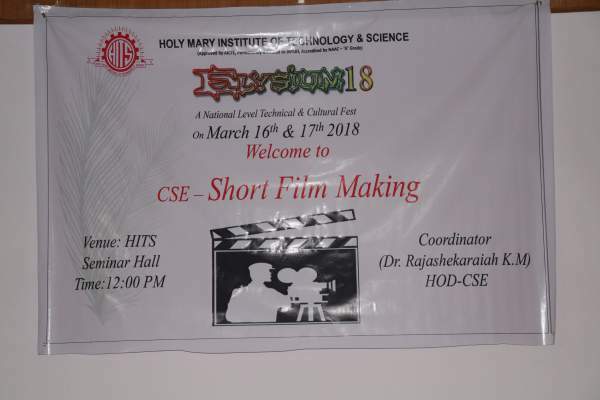 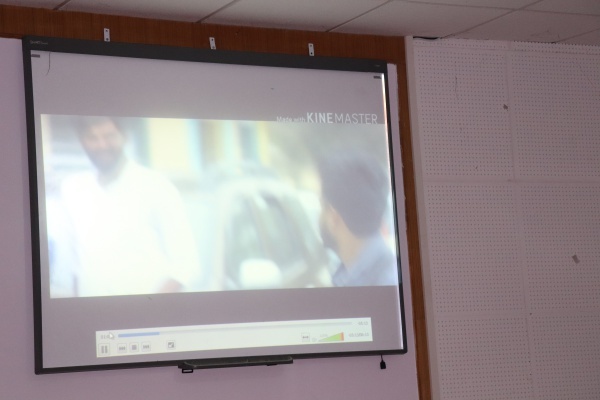 Publicity, Brochure, Proceedings, Poster presentations, E-Waste Management, Robotics, Project Expo, Short Film Making, Quiz (Technical & General), Photography, Science and Art Exhibition, Songs and Dance, Science Fiction Writing. 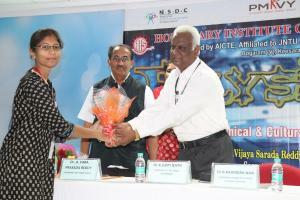 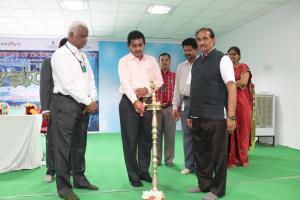 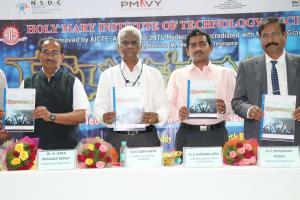 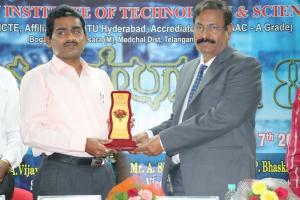 Dr. K. Gopinath, Project Director and Outstanding H Grade Science, R.C.I. and DRDO, has participated as Chief Guest for the inaugural session of Technical Fest and delivered memorable speech on Missiles. 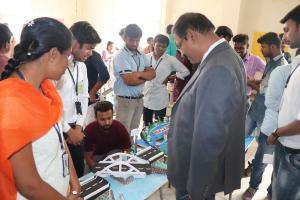 Students must passionate on engineering subjects, irrespective of disciplines, which are useful in their career, he emphasized. 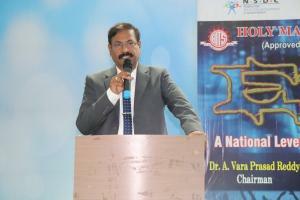 He also quoted Late Dr.A.P.J.Abdul Kalam, Former President of India & Bharat Ratna Awardee, quotations Dream, thoughts, reality. 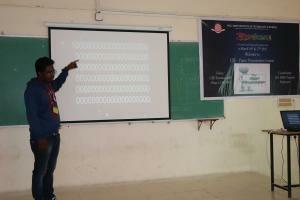 He delivered a lecture on Missile Technology. 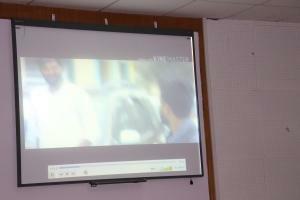 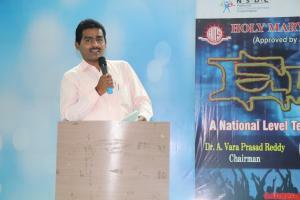 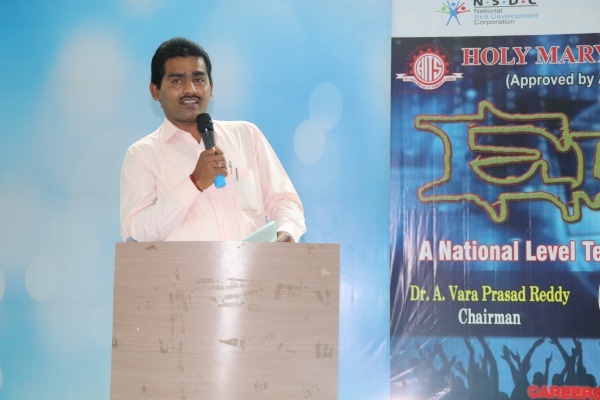 Dr. B. Raju Nayak, Associate Professor, ECE Department, Osmania University, attended on Guest of Honour. 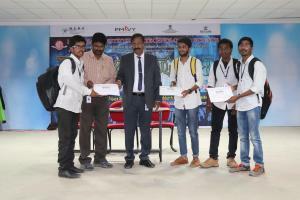 He addressed the students on this occasion and told them to participate more in number of Technical Fests for getting thorough knowledge. 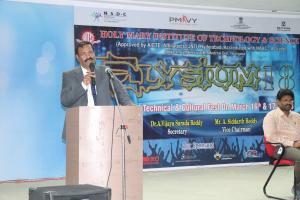 This platform will provides sharing of ideas, sharing of knowledge etc., he told. 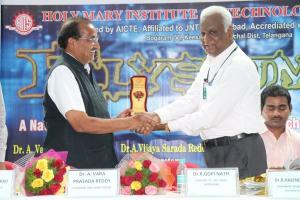 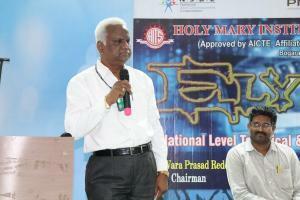 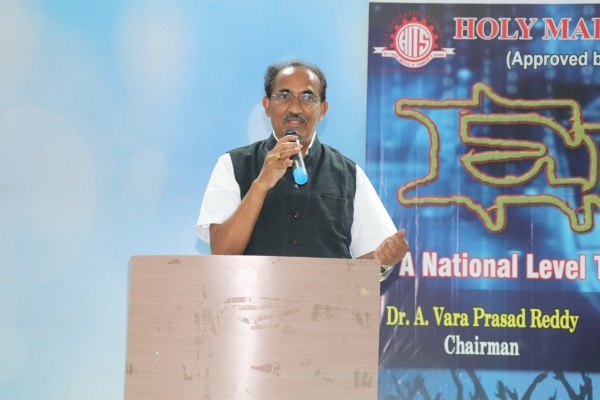 Dr. Arimanda Vara Prasad Reddy, Chairman, Holy Mary Group of Institutions, delivered a message. 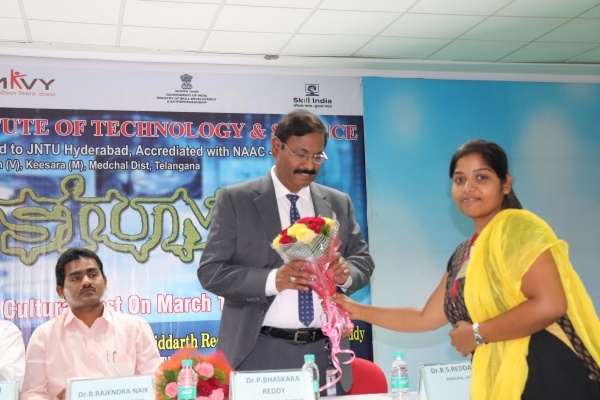 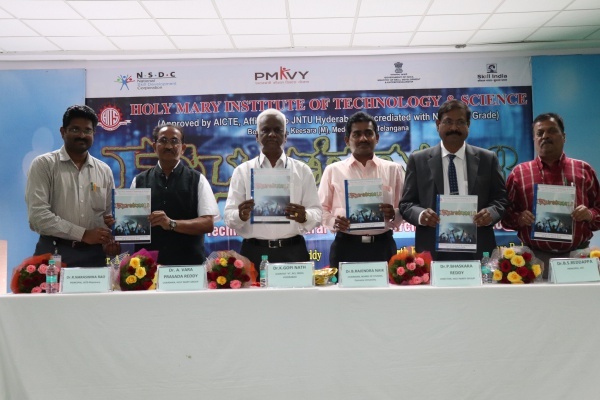 Dr. P. Bhaskar Reddy, Director, Holy Mary Group of Institutions, Dr. B.S.Reddappa, Principal, Holy Mary Institute of Technology, Dr. R. Narasimha Rao, Principal, Holy Mary Institute of Technology & Science (College of Pharmacy) also shared the dais. Dr. P.Bhaskar Reddy, Convenor of Elysium 18 said that more than 200 papers were registered for Technical Paper Presentations and 40 modules were also registered. 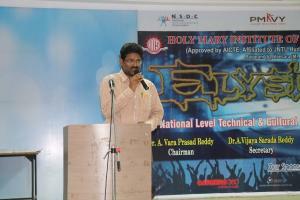 Students enjoyed a lot with the D.J. 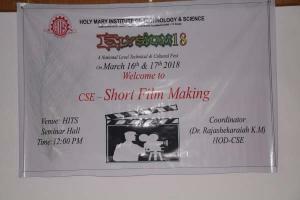 arranged on the conclusion day.